Carlin and Jonah are SO STINKIN CUTE!!! They’re adventurers, creative, romantics…. AKA, MY KIND OF PEOPLE!! They live in Baton Rouge, Louisiana and have been married for 3 years! To celebrate the three year milestone, they planned an adventurous road trip through New England. They made stops in Providence, Rhode Island, North Adams in the Berkshires, Plymouth, Massachusetts, and Boston! 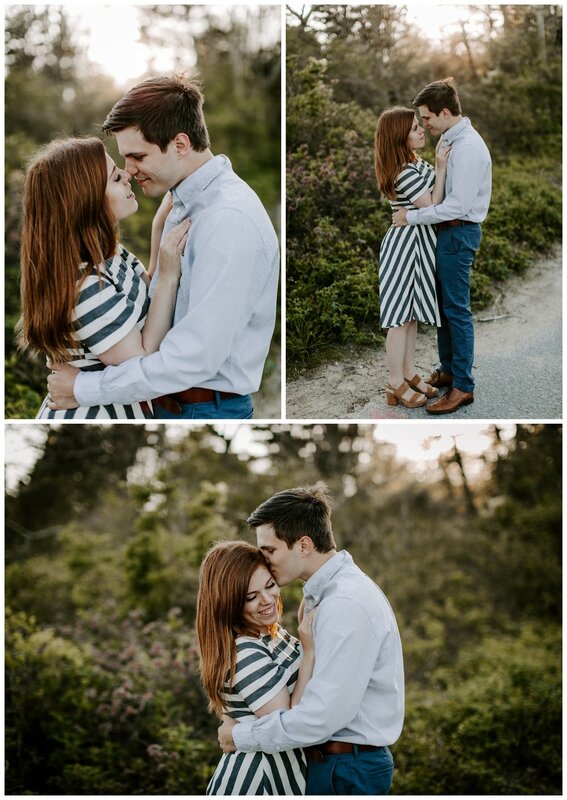 I was absolutely delighted when they reached out and invited me to come along for a part of their adventure to capture their love. What a treat! 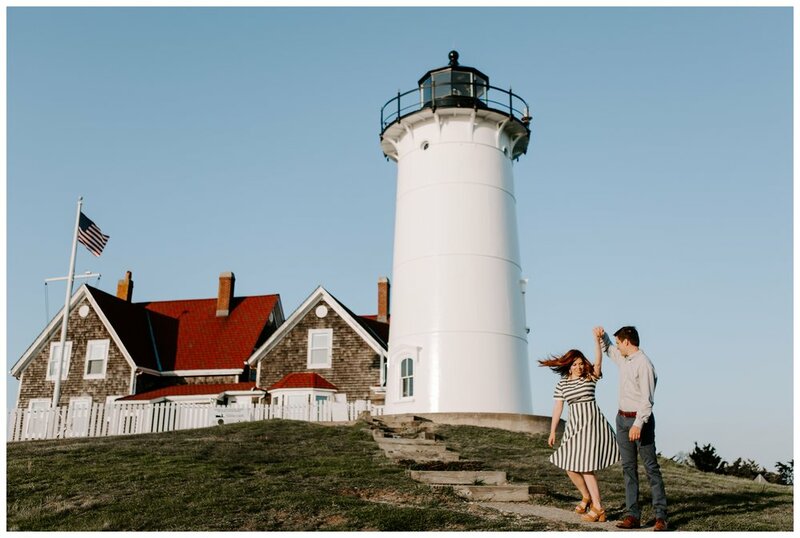 Being from Louisiana, these two cuties couldn't wait to dive into the New England landscapes and culture - and Jonah REALLY wanted to lay his eyes (and hands!) on a classic New England Lighthouse. 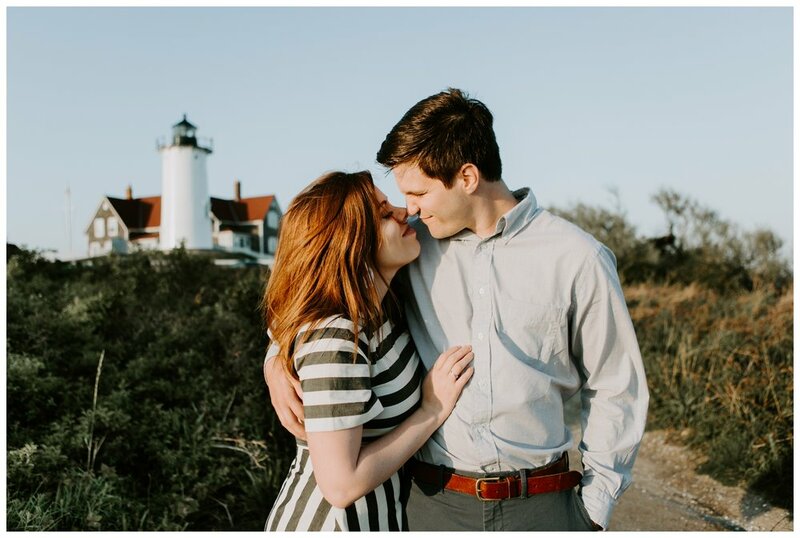 All things considered, I suggested an adventure to Cape Cod - specifically Nobska Lighthouse in Falmouth - and it was absolutely perfect! Two ice cream scoops later, we hopped in our cars and headed over to Nobska Point. It really was the perfect Thursday afternoon. The tall grass in the marshes swayed gracefully in the warm, salty sea breeze. The docked boats bumped up and down in the gentle waves. The sand was soft. The sun was shining. And Carlin and Jonah’s infectious giggles filled the air.